Ropelocker are proud to be able to support you in participating in this new training system by providing a wide range of suitable ropes. 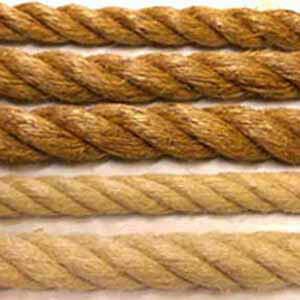 Ropes are either synthetic or natural fibres. We can supply either. The benefit of the natural fibres are that they can be slightly cheaper and are also available in larger diameters. The synthetic fibres have the benefit of not shedding so are ideal for use indoors. 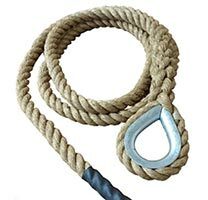 It is possible to sheath a natural fibre rope for use indoors. Please call for more information. 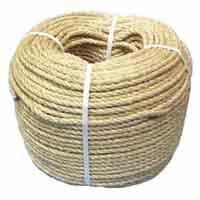 This page is for our natural fibre battling ropes. You may wish to visit our other gym rope pages for our synthetic battling ropes. Available in 24mm, 36mm and 42mm. A natural fibre which can be quite coarse to handle and it is recommended that you wear gloves for training until your hands toughen up a bit. Will shed fibres so best used outdoors. Will shrink if it gets wet and should not be left outdoors for long periods as the fibres will degrade. A 4 strand rope like the ones you used to climb in school. A soft natural fibre. Available in 28mm and 36mm diameter. Will shed fibres so best used outdoors. Should not be left outdoors for long periods as the fibres will degrade. All our ropes are 15m long and finished with adhesive lined heatshrink on both ends. The heatshrink should not be used as a handle during training - you should hold the rope itself. Please feel free to contact us if you have any questions or would like to discuss a custom length not specified in the variations above.